The all-new Range Rover Evoque has entered its final phase of testing, with hundreds of prototype models dispatched around the globe for trial in the toughest climates and conditions. 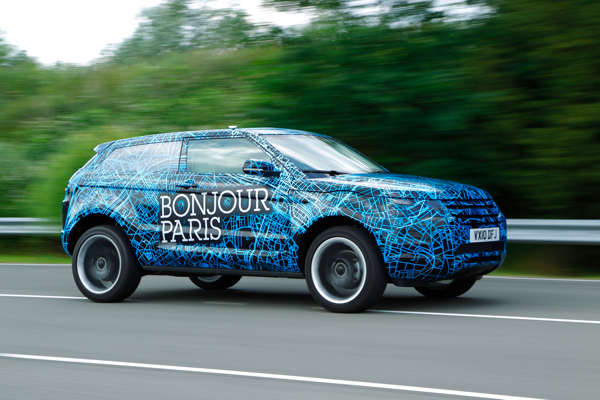 Land Rover is making no secret of the operation – its Design Team has fitted ten prototypes with funky camouflage wraps to introduce the new car in ten key cities worldwide. Ordinarily prototypes are disguised for discretion, but these ten are intended to be seen. The funky camouflage imagery is actually a GPS mapping trail of ten key cities for Evoque, with each vehicle saying ‘Hello’ to its city. It signals the eagerly awaited global launch of the new Evoque. These unmissable vehicles represent London, New York, Sao Paulo, Paris, Milan, Madrid, Berlin, Sydney, Shanghai and Moscow and will all be spotted testing around the globe. They are just a small proportion of the hundreds of pre-production cars that will be rigorously evaluated over millions of miles to ensure the new Range Rover Evoque surpasses the highest standards of quality and reliability when it goes on sale in summer 2011. The development stage is crucial in the year leading up to launching the car. No stone is left unturned – we have a team of experienced and skilled engineers who will work to a tight schedule to ensure we have a top quality vehicle to offer our customers.” Murray Dietsch, Director of Land Rover Programmes. Teams of engineers will travel to 20 countries to pit the Range Rover Evoque against the most extreme conditions on earth, ranging from the Arctic to the desert, from German Autobahns to Tokyo city traffic. Alongside the engineers, Land Rover is working with 120 unique component suppliers and carrying out in excess of 17,000 individual tests to examine every separate part and system. The new Range Rover Evoque is the smallest, lightest and most fuel-efficient model the company has ever offered and will be sold in 160 markets around the world. Smaller than a Land Rover 80″ station wagon? Lighter than a military Land Rover Airportable? Land Rover forgetting its company roots again? If they continue to drive around with these “camouflaged” versions, I can see customers starting to ask for them like that. Are they testing the market to see if there might be a demand for them? Nice, looks like Posh Spice has done a great job! Is the company being talked about Range Rover or Land Rover? How, for example, does the Evoque’s size compare with the open-backed Freelander 1 (for which this is, effectively, a replacement)? Great, that’s just what we need – another fat, bloated, hugely heavy monster clogging the roads up. As a cyclist (and, of course, a driver), I find “cars” like these (if “cars” is the appropriate word for this lorry-like object) highly objectionable. Quite clearly there are still lots of people with more money than sense. It will sell, of course it will. Whilst not totally disagreeing with your sentiments, the picture at the top of this item is a bit misleading because there is nothing to put the vehicle in relative scale. These things are actually quite a bit smaller than you might think… take a look at these images on TruckTrend.com. Is it really still only me who looks at the Evoque and instantly thinks “Audi A3 on steroids”? That rear end is soooooo A3-esk! The Evoque’s supposed to be “the smallest Land Rover ever produced” and have electric rear axle drive (ERAD). I guess that, with a hybrid, LR can stop getting bashed by some… No, probably not. A repackaged Freelander 2 with less space and no 4 wheel drive (optional)? That sounds just like a Ford Mondeo to me. Why is it being launched in the cities? “The most extreme conditions on earth… autobahns to city traffic” – that just about sums its intended market. Pass the sickbucket… Give me a Disco 1 or, even better, a pre-Defender 110 van. The Evoque will sell well in Cheshire and Chelsea though! I hear there is going to be a Victoria ‘Braindead’ tie up! Not much wrong with this – I’m not sure what the complaints are about either. If this is what the public wants, then why shouldn’t it be built in an English factory? The Evoque has got to be better than some of the offerings from various German companies with no 4×4 history at all. 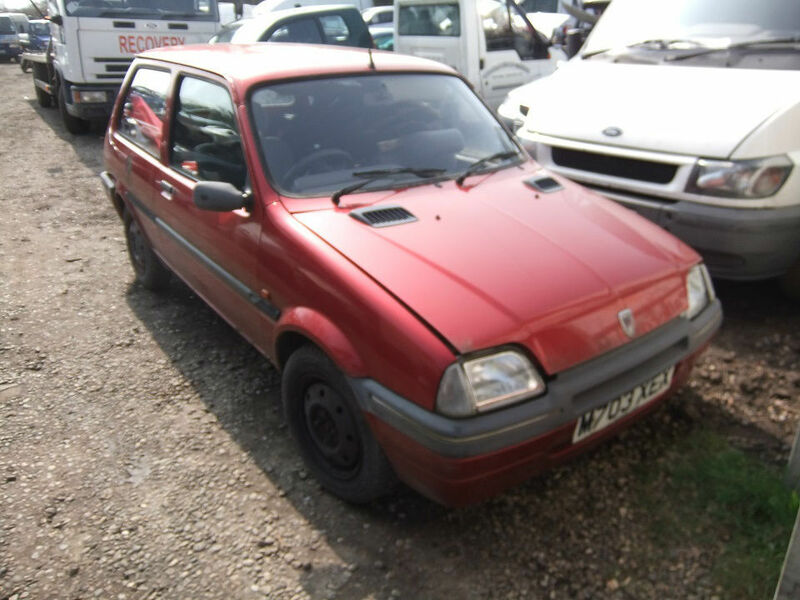 This reminds me of the Allegro Estate – except that had some charm.